The rains have arrived and temperatures are a bit warmer than the recent arctic blast. The snow is melting and gardeners are thinking it's time to poke around the gardens a bit. There won't be much to see unless you've planned for very early blooms with Winter Aconite and Witch Hazel. But the pull of the garden, even in late January, is sometimes too strong to resist. This is not the time to walk about the gardens. The soil will be incredibly wet and walking about will only cause damage. What you can do is look and make note of where you wish you could stroll. Perhaps this is the place for a new garden path or a more substantial walkway. Do yo want to sit outside without your chair sinking into the mud? Then you are ready for a patio. Clean the bird feeders and baths, make notes of what your garden is lacking in the throws of winter and then contact us. We will put a garden plan together so you can enjoy your garden to the fullest this time next year. 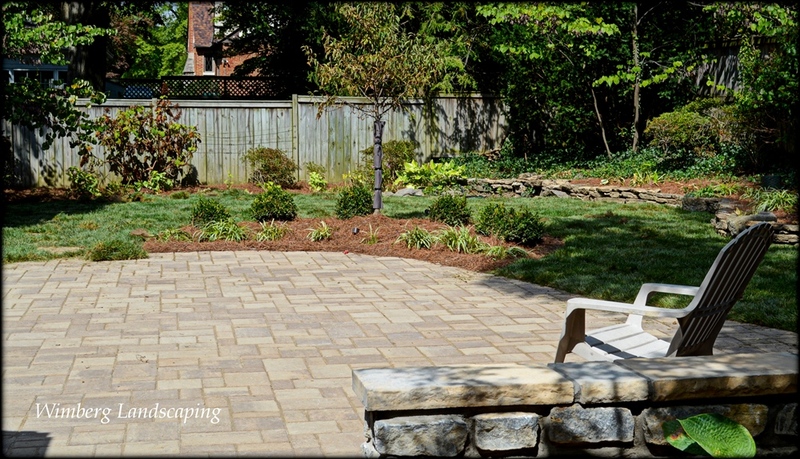 This patio wil be a nice place to enjoy a winter day with a hot cup of coffee.